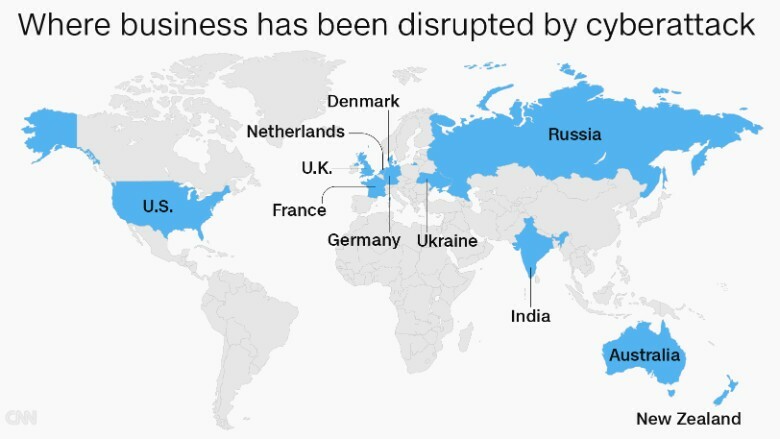 Some of the world's biggest companies have been hit by a huge cyberattack that has disrupted their businesses. The victims are spread around the globe and across different industries, including banking, transportation, energy and even candy. Mondelez (MDLZ): The snack maker that owns Oreos and Cadbury reported a computer outage across its global operations. Merck (MKGAF): "We confirm our company's computer network was compromised today as part of global hack", the pharmaceutical giant said on Twitter. DLA Piper: The law firm said it had taken down its systems in response to "a serious global cyber incident." The Eastern European country, where some of the first reports of attacks emerged, was hit particularly hard. Power: Energy company Kyivenergo was forced to turn off all its computers, a representative for the firm told Interfax Ukraine agency. The ransomware also caused problems with the monitoring system of the Chernobyl nuclear power plant. 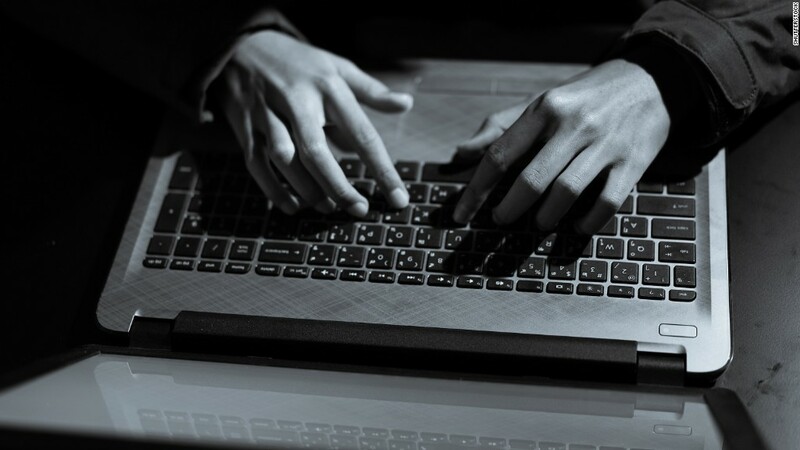 Post: Delivery company Nova Poshta stopped services to customers after its network was infected, the firm said on Facebook. Banks: The country's central bank said several Ukrainian lenders had been hit by an unknown virus. Government: Vice Prime Minister Pavlo Rozenko said computers at the Cabinet of Ministers had been affected. The cabinet said Wednesday morning that the attack had been stopped and that information was being recovered. Strategic companies are "working as usual," it added. Rosneft: The state-controlled oil producer said it was affected by the attack but avoided "serious consequences" by switching to a backup system. Evraz: The steelmaker also reported its IT systems had been hit, but said its output wasn't affected. Banks: The country's central bank said it had found some isolated infections at other financial institutions. It said the problems were quickly fixed. WPP (WPPGF): The British advertising agency said on its Twitter account that IT systems in several of its companies have been affected by a suspected cyber attack. Saint-Gobain: The Paris-based construction materials company said its IT systems had come under attack. SNCF: The French national railway system said late Tuesday it had experienced attempted intrusions but had so far fended them off, French newspaper Le Parisien reported. BNP Paribas (BNPQY): The bank confirmed that its real estate division had been affected. Auchan Group: A spokeswoman for the retailer said the attack hit payment terminals at its subsidiary in Ukraine, but stores remained open. Beiersdorf (BDRFF): The maker of Nivea skincare products said it was the target of an attack which affected its IT and telephone systems. 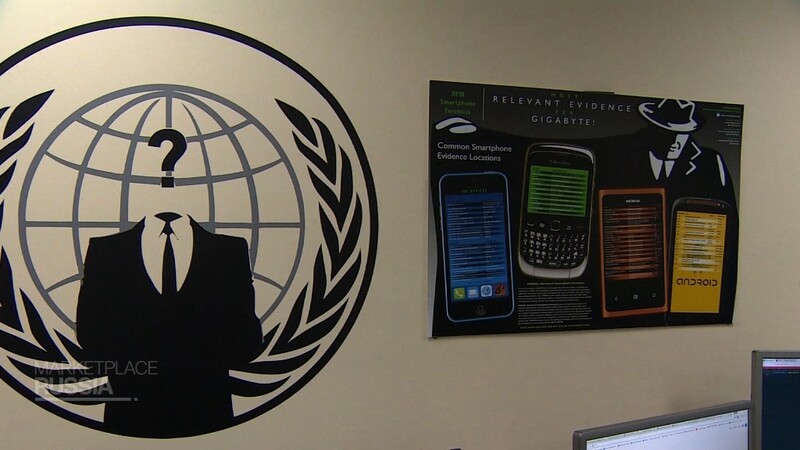 "Besides our headquarters in Hamburg also our affiliates worldwide are affected." Maersk: The global shipping giant said its computer systems were down "across multiple sites and select business units." That included operations at major container ports around the world, including Rotterdam and the Port of New York & New Jersey. One Maersk facility in crisis was its container terminal at Mumbai's Jawaharlal Nehru Port, one of the biggest in India. Staff were up all night trying to fix the problems, said an employee who answered the phone at the facility. 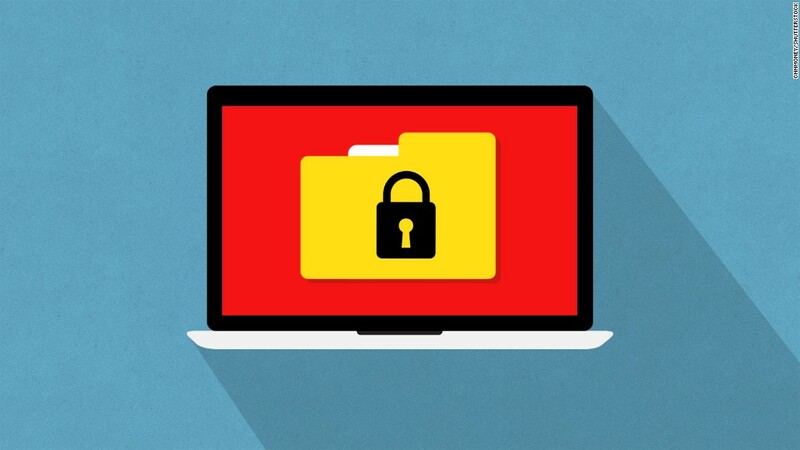 The Australian government is working to confirm that two Australian businesses had been affected by the ransomware attack, according to Dan Tehan, the minister assisting the prime minister for cybersecurity. Mondelez said its five manufacturing facilities in Australia and New Zealand -- including a Cadbury factory in Tasmania -- had all been hit but some of them were still able to carry out limited production. -- Anish Gawande, Victoria Butenko, Karolina Rozwadowski and Bex Wright contributed to this report.